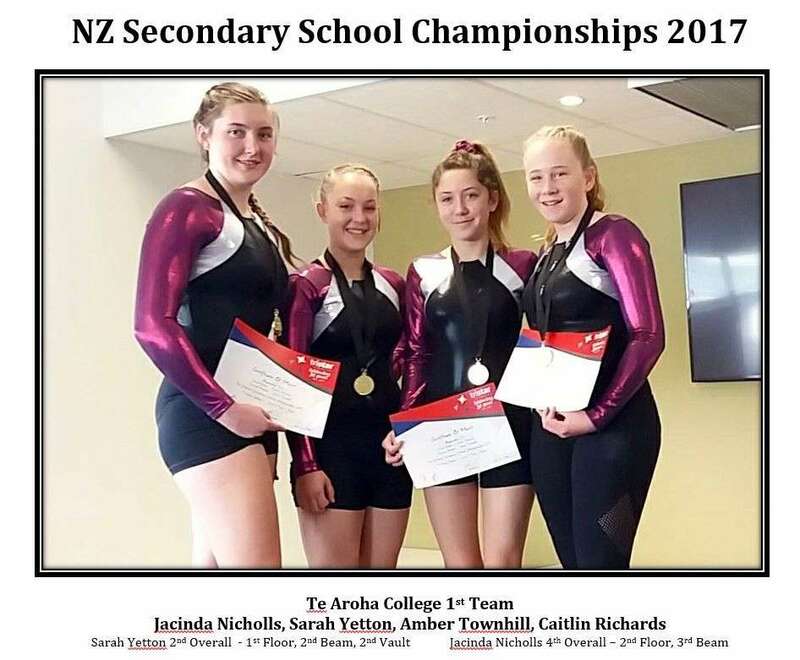 Last weekend 4 students competed at the NZSS Sports Gymnastics Champs. The girls were competing in Level 3, which is the highest novice level. They competed superbly with some outstanding results. The team of Jacinda Nicholls, Sarah Yetton, Amber Townhill and Caitlin Richards was placed 1st overall. Individual results included: Sarah Yetton - 1st Floor, 2nd Beam, 2nd Vault - placing her 2nd overall. Jacinda Nicholls placed 2nd Floor and 3rd Beam giving her 4th overall.